The CBR Brave are delighted to announce the signing of stalwart defenseman Channing Bresciani from the USports University of Manitoba Bisons. The Winnipeg native started skating at the age of two on a rink that his dad made in their backyard each year, and at the age of four, started playing recreational hockey. Channing has played for the Winnipeg Wild (2008-2010) where he won the Manitoba AAA Midget Hockey League in 08/09, the Winnipeg Blues (2010-2014) where he captained the Blues to the 13/14 Turnbull Cup in the Manitoba Junior Hockey League and most recently with the University of Manitoba Bisons (2014-2018). During his time with the Bisons, Bresciani played 107 games and posted 44 points, whilst also serving as an alternate captain for the 17/18 season. When talking about what made Channing decide to come to Australia and more importantly, sign with the Brave, he spoke about the opportunity to explore and experience life outside of Canada. 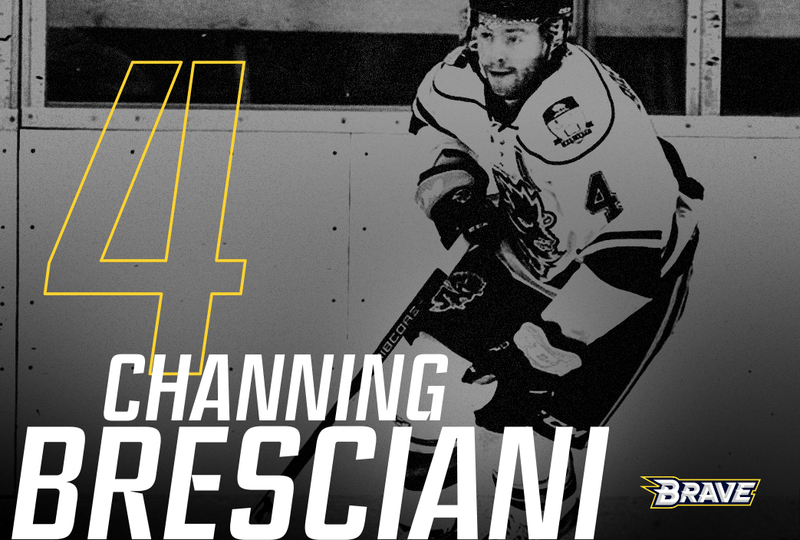 The addition of Channing Bresciani is another feather in the cap for the CBR Brave as they continue to bolster their defensive stocks ahead of season 2018.